Enjoying Canada’s driest climate, Osoyoos bills itself as Desert Wine Country. Osoyoos is the only desert in Canada, with the lowest rainfall, the highest temperatures, and the warmest lakes. Osoyoos is located in the middle of the Southern Okanagan wine country, whose fine wines match any wines from anywhere, from France to California. 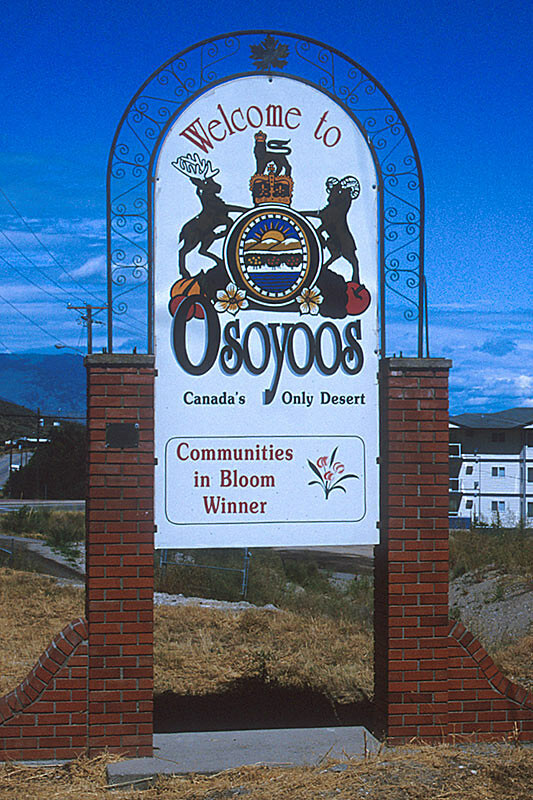 Translated from local Inkaneep native dialect, Osoyoos means, where the water narrows, or sand bar across, an apt description for the way this town spans a narrow part of Osoyoos Lake in the Southern Okanagan. Originally named “Soo-Yoos”, an O is believed to have been added to lend a more dignified sound to the name. Here, the ancestors of the Okanagan Salish Indians trapped the salmon swimming up the Okanagan River. David Stuart, a Scotsman working for the American-based Pacific Fur Company in 1811, was one of the first white explorers to visit this area. For nearly half a century, Osoyoos was on the north-south fur trade route. Then, after a lull, it gained importance as a border entry point for cattle drives to the gold miners of the Cariboo. 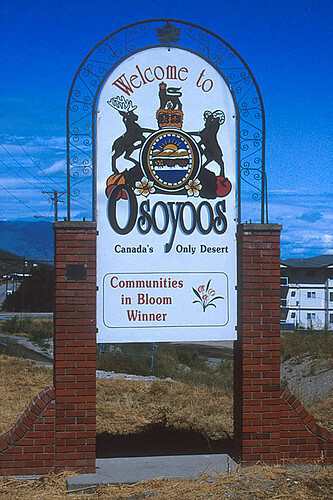 Osoyoos was incorporated in 1947, but its history dates back a lot earlier. In the late 1800s, it was the colonial government’s administrative centre for much of the interior of British Columbia. 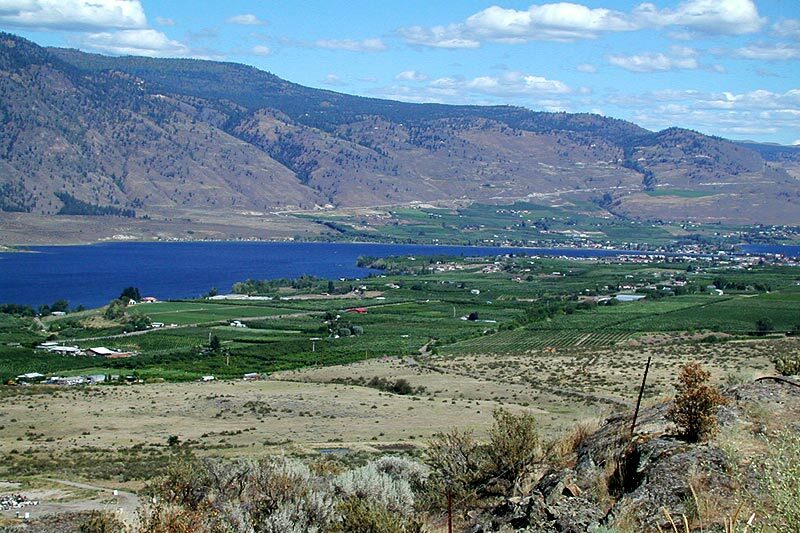 From those early roots, Osoyoos has developed into what it is today. Commercial fruit growing started in the early 1900s, but Osoyoos grew slowly until the railway reached it from the north in 1944. 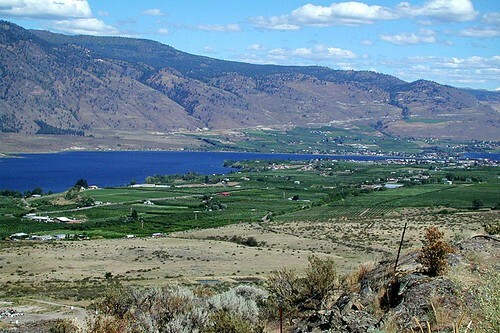 Today, the dry, sunny climate and long growing season make the South Okanagan the fruit basket of Canada, with Osoyoos as its capital city. 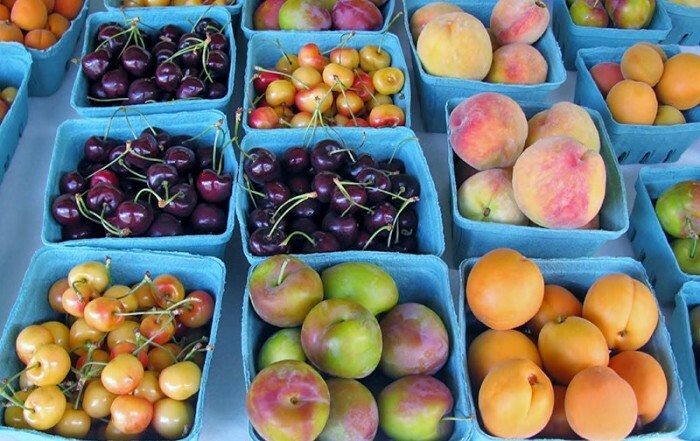 Cherries, plums, apricots, peaches, apples, grapes… even bananas! Yes, bananas – the only plantation of its kind in Canada. If visitors feel as though they’ve stumbled across a little part of the Mediterranean, it’s no wonder. 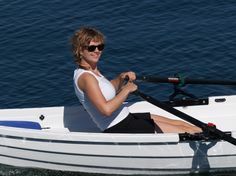 This is the place to beat the summer heat; sailing, windsurfing, water-skiing and parasailing are all here for your pleasure. 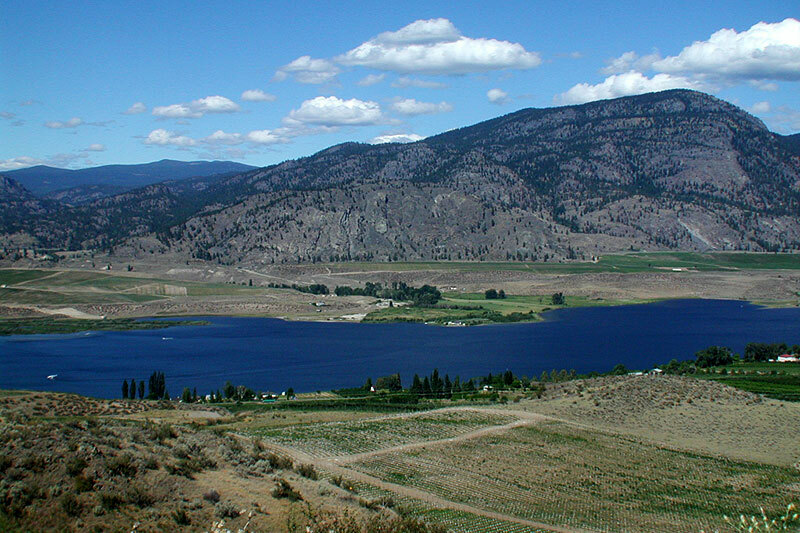 Location: Osoyoos is located on Highway 3 on the eastern shore of Osoyoos Lake, near the Canada/United States border, 17 miles (27 km) south of Oliver and 38 miles (60 km) south of Penticton. Desert in BC: Explore Canada’s desert! 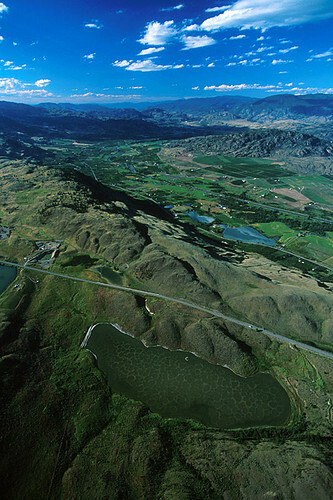 The South Okanagan of British Columbia is one of the most unique and endangered ecological regions in North America. 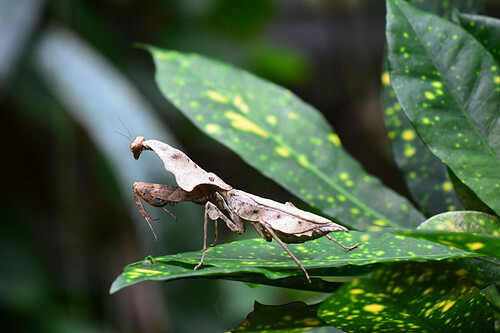 It is Canada’s only “arid” desert environment, and is home to over 100 rare plants and over 300 rare invertebrates. 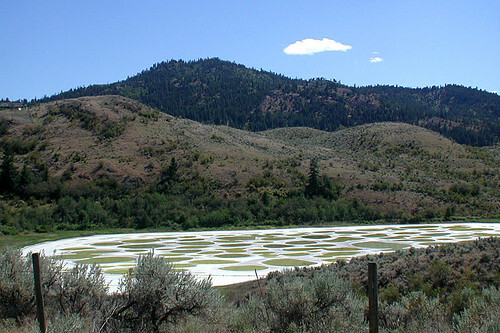 The Osoyoos Desert Centre, located 9 km north of Osoyoos, is an interactive interpretive education and research facility, offering an insight into this sensitive ecosystem. The Pocket Desert Federal Ecological Reserve is found on Black Sage Road, which runs through the heart of the desert, parallel to Highway 97 for 14 kilometres, but at a slightly higher elevation. From the highway, turn onto Road 22. This area receives an average rainfall of less than 20 cm per year. Growth is sparse, and the desert plants and animals of this area are found nowhere else in Canada. Actually, the Pocket Desert is part of the Great Basin Desert, part of the network of deserts that extend southward to the Sonoran Desert in Mexico. In fact, the plants and animals here are the same as those found in the higher elevations of the Mexican portion of this desert. Typical plants found are sagebrush, greasewood, rabbit and antelope bush, and bunch grass. 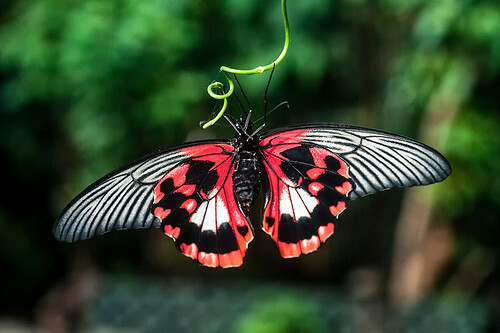 Some animals that may be spotted are yellow-bellied marmots, pygmy horned toads, painted turtles, various lizards, white throated swifts, nighthawks and Calliope Hummingbird. Watch for rattlesnakes. This area is also the site of an owl recovery program. The Nk’Mip Desert Cultural Centre celebrates thousands of years of Aboriginal habitation of the Nk’Mip Desert, one of Canada’s three most endangered ecosystems. 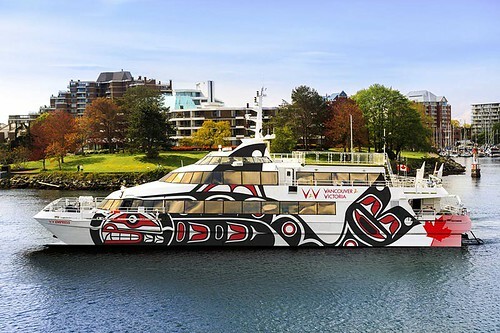 Learn about the living culture of the Okanagan people through tours, programs and interactive displays. The Osoyoos Museum is home to an original 1891 log cabin, the first schoolhouse in Osoyoos, as well as serving as a jail and government house during its life. Considered to be one of the best small town museums in BC, the museum offers great exhibits for the whole family. Stroll along relaxing pathways at Pioneer Walkway, a popular waterfront park with inspiring vistas. The walkway is situated along the lake in the heart of the motel and restaurant district – a perfect place to stroll, any time of the day. 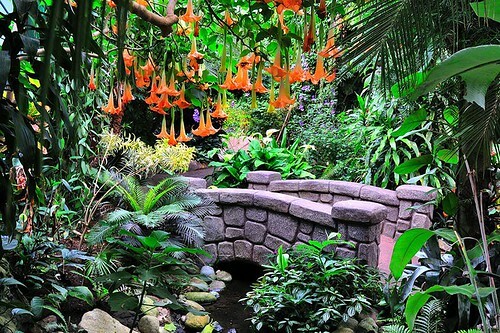 Enjoy the friendship and flowers cared for by a group of volunteers. Wineries: Osoyoos is surrounded by an abundance of orchards and vineyards. 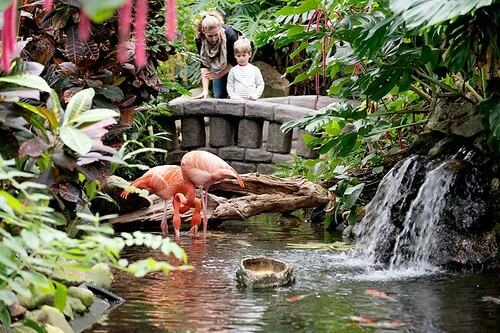 Most will sell fruit or wine, so take a break from your travels and stop for a visit. 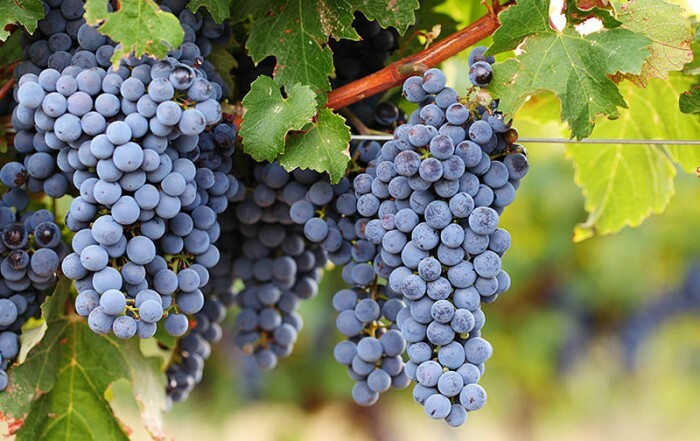 The vineyards offer tastings, and some of the specialty orchards offer wine tours as well. A little touch of Holland in the sunny Okanagan. You’re welcome at The Windmill, an authentic replica of a fully operational stone grinding flour mill. Reflecting Dutch tradition at its finest, The Windmill is set in a beautiful spring garden of tulips, with a 24-inch pair of wooden clogs (houten klompen) just waiting for a photograph to happen. The third floor, or cap as it’s traditionally called, is where the stone grinding mill turns hard spring wheat into flour. A self-guided tour of the cap is available on an on-going basis, with free demonstrations of the flour grinding process. Traditionally costumed staff will serve you in The Windmill Tea House. Ascend to the Anarchist Mountain Lookout, located east of Osoyoos on Highway 3. From here you can see the Okanagan Valley, as well as part of Washington State. The climb takes you from 910 feet to 4045 feet. Rattlesnake Canyon family entertainment park features an exciting miniature golf course, bumper boats, ice cream, and much more. Fun for the whole family. Mt. Kobau: For a bird’s-eye view of the lake and the Similkameen and Okanagan Valleys, follow the gravel road from Osoyoos to the summit of Mt. Kobau, one of the tallest peaks around. A great spot for stargazing and hiking, and the views are nothing short of spectacular. 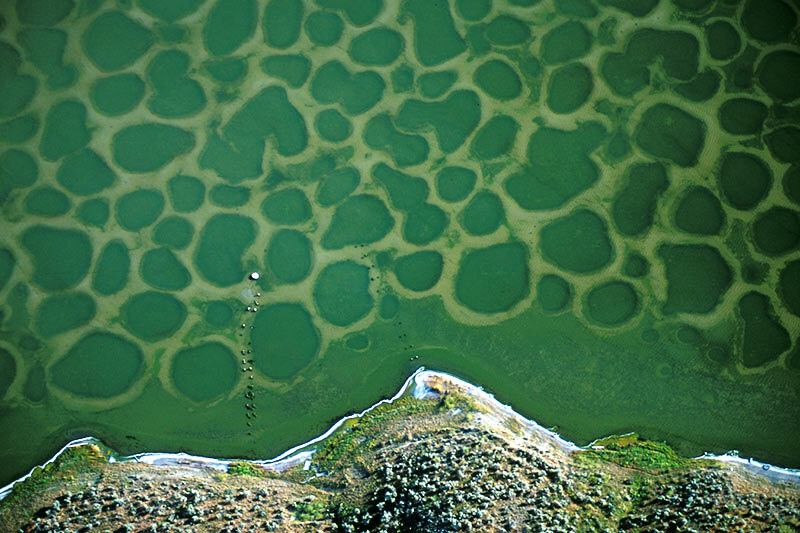 Nine kilometres west of Osoyoos on Highway 3 is Klikuk, the Spotted Lake, containing one of the world’s highest concentrations of minerals, including epsom salts, calcium, magnesium and many other trace minerals. The healing mud and waters were used to alleviate aches and pains. In the summer the water evaporates and crystallizes, making the white-ringed spots visible. 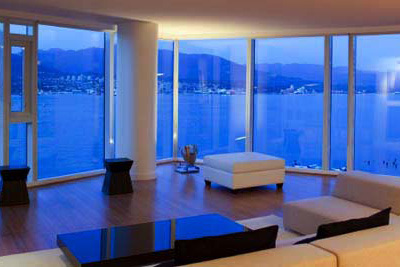 The lake is on private land, and is therefore not accessible, but you can get a good view from the highway. Attractions at Haynes Point Provincial Park include the wildlife, lakefront campsites and the rainbow trout and bass fishing. For a special wildlife viewing experience, take a day visit to Vaseux Lake Provincial Park, just north of Osoyoos on Highway 97. Here, the Vaseux Lake Nature trust operates the Vaseaux Wildlife Centre, with a Canadian Wildlife Services wildlife sanctuary adjacent to the park ensuring protection of critical bighorn sheep winter range. The cliffs surrounding the park include spring and winter range of California bighorn sheep, and the area is famous for birdwatching. Grasses, reeds, willows and shrubs along the shore afford a home to many varieties of wildlife. Waterfowl, including trumpeter swans, widgeons, Canada geese, wood ducks, and blue-winged teal, are common. In spring, the beautiful lazuli bunting has been seen. Other bird species present include chukar partridge, wrens, swifts, sage thrashers, woodpeckers, curlews, and dippers. Mammal species found here include beavers, bats, cottontail rabbits, muskrats, deer and mice. Rattlesnakes, toads, and turtles live in this area. Considerable populations of largemouth bass, rainbow trout, and carp make their home in the water, and in winter, the frozen lake offers excellent conditions for ice fishing as well as other ice-related activities. Vaseux Lake is a mecca for paddler’s and naturalists. 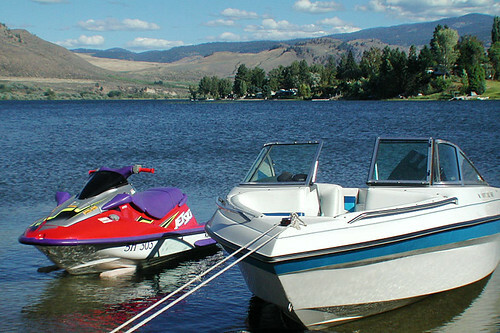 Osoyoos Lake, one of three lakes that claim to be the warmest freshwater lake in Canada, is surrounded by many beautiful beaches and picnic grounds, such as Gyro Beach, Lions Centennial Park, Kinsmens Park, Legion Beach and Hayne’s Point Picnic Ground. 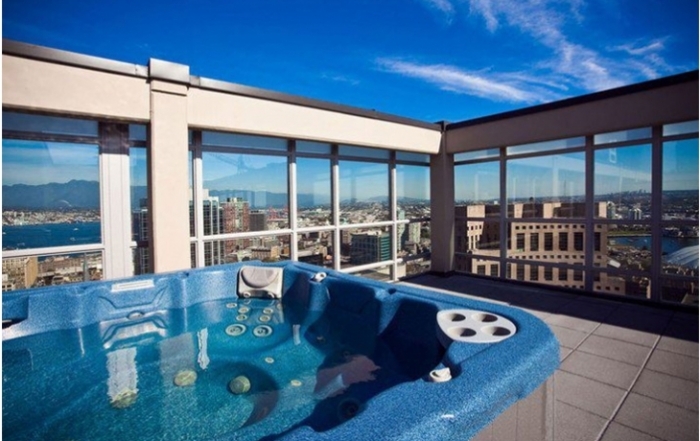 They offer everything from swimming and lounging, to playing in the playgrounds. Golf: Osoyoos offers two fine golf courses: Sonora Dunes Golf Club is nestled among the rolling desert hills and lush vineyards of Osoyoos, surrounded by the breathtaking natural beauty of the desert. Golfers of all abilities will enjoy the solitude offered by the tranquil, natural setting. Sonora Dunes is located adjacent to Nk’Mip Cellars and the Nk’Mip Desert and Heritage Center, approximately 5 km east of downtown Osoyoos via Highway 3. Osoyoos Golf & Country Club is perched high above the town of Osoyoos, with vistas of mountains, Osoyoos Lake, desert and valley that brings together ideal desert climate and picturesque Okanagan surroundings. The club offers two full eighteen-hole championship layouts that offer all golfers a unique golfing experience: the Park Meadows Course (Blue Tees – 6,208 yards, par 72) and the Desert Gold Course (Gold Tees – 6,500 yards, par 71). 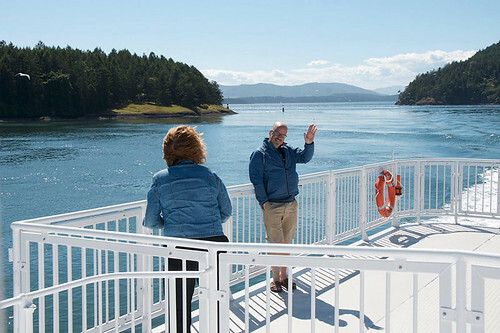 Golf Vacations in British Columbia. 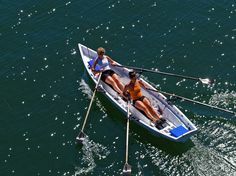 The International Bicycling and Hiking Society has developed a lovely little 20-km river ride between Oliver and Osoyoos along the scenic Okanagan River. To find this easygoing ride, just head east on any of the turnoffs from Highway 97 between McAlpine Bridge (the northern terminus of the trail) and Road 22. Cyclists will find the trail to be safer, faster and more scenic than the highway. The Osoyoos Trails are a great series of old jeep roads and single track on the slopes west of Osoyoos. From town, head west towards the golf course and turn left on Fairwind. Park at the first cattle gate. The trail dances around the perimeter of the golf course. Most of the routes are quick and moderately easy, but frustratingly short for those looking for the eternal descent. If you’re feeling adventurous, take a 45-minute drive north on Highway 3, to Mount Baldy. A great place to picnic or hike in the summer, and great downhill or cross-country skiing in the winter, makes this an exciting year-round destination. Skiing & Winter Activities in the South Okanagan. Every year, on the Victoria Day holiday weekend, South Okanagan Horse Trials hosts an international Horse Trials event at Desert Park. Two hundred or more horses and riders converge on the town to ride the cross-country course with its ditches, banks, drop fences and its spectacular water jump. North of Osoyooos is Oliver, surrounded by desert to the south, and lakes, mountains, vineyards and orchards in almost every other direction. 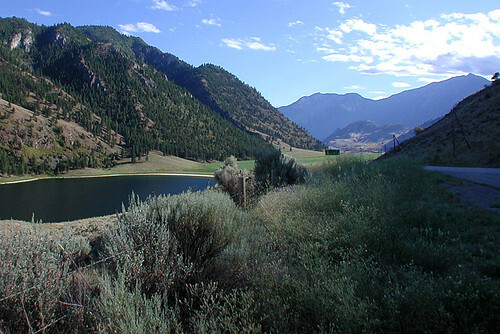 Neighbouring Osoyoos to the east is Boundary Country, incorporating the heritage valleys of the Kettle River, the West Kettle River, Boundary Creek, Granby River, Christina Lake and all of the many tributaries that drain the Monashee Mountains into the Columbia River Basin.